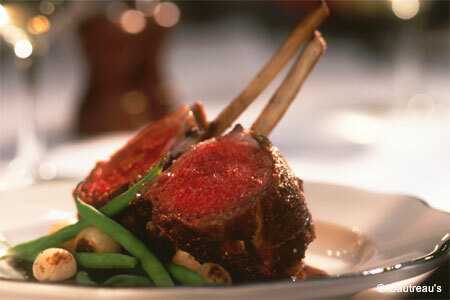 Gautreau’s is an uptown neighborhood gem and one of the city’s finest restaurants. : Gautreau’s is housed in a quaint old structure located in a residential neighborhood off the traditional culinary path. Even so, it has made great strides in capturing the attention that higher profile restaurants enjoy. New Orleans’ French heritage is nicely represented in the understated bistro-like ambience. Chef Sue Zemanick offers a distinctive cooking style in her seasonal menu: seared sea scallops with sage brown butter; sautéed grouper with olive tapenade; crispy pork belly with sweet potato ravioli; and a rosemary chicken dish with shiitake mushrooms. For dessert, look for the caramelized banana split with butterscotch and chocolate sauce. The wine list is selective but diverse, with at least a dozen options by the glass. Cheerful service is as unaffected as the atmosphere. So, when should you consider Gautreau’s? First date, anniversary, birthday, family dinner or anytime you simply feel the need for sensory pampering.